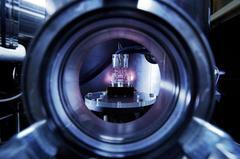 The FLASHForward scientists accelerated the first electron bunches in such a plasma cell (photo: DESY/ H. Müller-Elsner). The plasma accelerator project FLASHForward achieved an important milestone in January: for the first time, the facility’s high-power laser accelerated electron bunches in a plasma cell. Later in the operational phase, the laser will control the formation of the plasma at FLASH. The group of scientists around DESY’s Jens Osterhoff used the laser to ignite a plasma, from which electrons were accelerated to energies of around 100 mega-electronvolts within a distance of just a few millimetres. This allows important pre-experiments for the planned beam-driven plasma experiment. As of the second half of this year, the FLASHForward scientists want to use the FLASH electron beam to generate a plasma in a plasma cell in order to further accelerate other electron bunches from the FLASH particle accelerator or electron bunches which are formed in the plasma itself. The beamline to connect the FLASHForward experiment to the FLASH accelerator (on the left) is under construction. “The electron bunches that have now been accelerated by the laser in the plasma cell have in many respects very similar properties to those that we are later hoping to accelerate with the FLASH beam in FLASHForward,” explains the project leader Jens Osterhoff. “We are now in a position to test our special diagnostic instruments before integrating them in FLASH this summer.” The diagnostics of FLASHForward will have to fulfil some demanding requirements. The scientists expect having to resolve electron bunches carrying a charge of just a few pico-coulombs, a thousand times less than in the European XFEL, and bunch durations in the femto-second range. In addition, the instruments must be capable of withstanding the electromagnetic shock that is produced when the plasma is ignited. 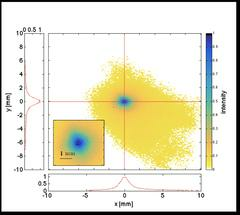 The &apos;Plot for experts&apos; shows the spatial distribution of the electron beam accelerated at FLASHForward. The FLASHForward project aims to test plasma wakefield acceleration. The electric fields produced in a plasma can be a thousand times stronger than those in conventional particle accelerators. Researchers all over the world are testing whether this highly efficient method of particle acceleration can be used to develop extremely compact particle accelerators. In FLASHForward, electron bunches produced by FLASH are to be further accelerated using a laser-produced plasma. 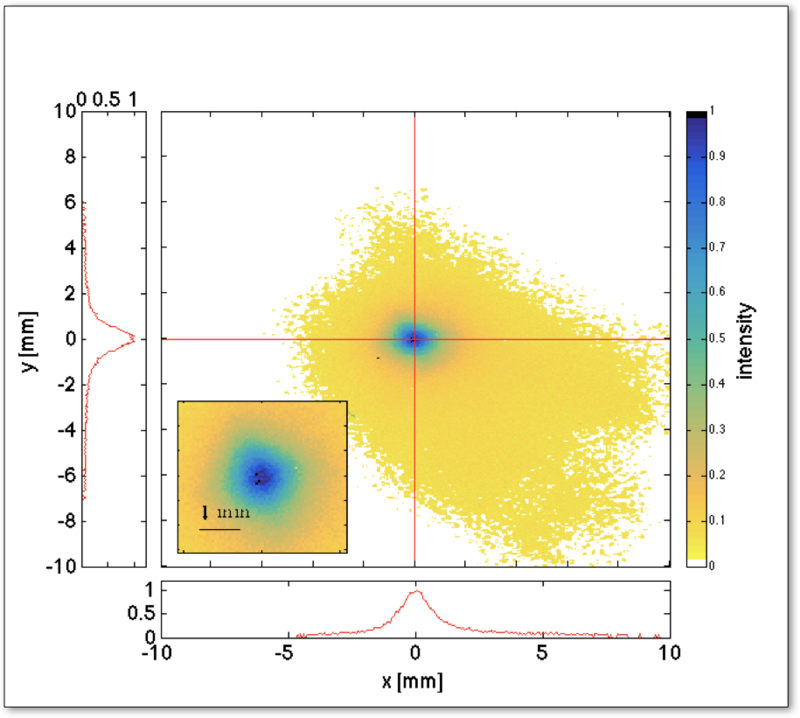 To achieve this, a beamline for electron bunches including an integrated plasma cell is to be set up alongside the second FLASH radiation beamline and hooked up to FLASH this summer. The experiments at FLASHForward are to begin later in the year and will be conducted in parallel to the Photon Science experiments at FLASH. FLASHForward is funded by grants from the Helmholtz Impulse and Networking Fund and supported by the Alexander von Humboldt Foundation.